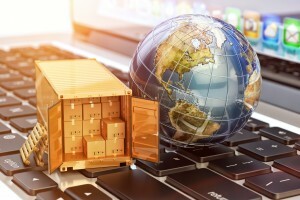 Home » Blog » What Are the Disadvantages of Drop Shipping? Sudden stock shortages are one of the most common problems sellers have with drop shippers. If customers suddenly rush for a particular product, the drop shipper may sell out, leaving you in a situation where you have orders to fill but no products. Stocking retailers are usually paying less than a drop shipping retailer who is selling the exact same item. Stocking retailers usually get better pricing, marketing incentives, additional bonuses, inside information about the product line, access to deals, among many other advantages. This is because they have a direct relationship with the manufacturer who makes the products they sell. The drop shipping process requires that you pay the real cost of stocking, picking, packing, and shipping, as well as a large mark-up. This means that drop shipping costs rise as your sales grow. However, if you stock merchandise yourself, you have more control over these costs. Although drop shipping saves your company time by removing the responsibility of shipping, it also takes a big part of the customer experience out of your control. Unless you know when your product is being shipped out, the tracking information, and the arrival time, there’s no way for you to guarantee that a product has arrived as described and on-time. Additionally, when a customer calls you to complain or ask questions about their shipments, the resolution process is much slower as you do not often have the necessary information on hand. If your company has been considering ways to save money and time, drop shipping may have been one of the options for you. Unfortunately, considering all of the disadvantages involved, you may be looking for a better solution. Here’s where a third-party logistics provider comes in. APS Fulfillment, Inc. offer our clients a variety of hands-on services including e-commerce fulfillment, product fulfillment, direct mail marketing, and fulfilment solutions. We also use the best quality software systems to manage your warehouse, so if you’re looking for the right company, look no further than APS Fulfillment, Inc. You can contact us by e-mail at [email protected] or by phone at (954) 582-7450.